Contact the Department of Development and Works at 613.432.8166 or email twebster@renfrew.ca when you are in the planning stages of your project to determine the specific building and zoning requirements for your property; do not wait until the last minute. 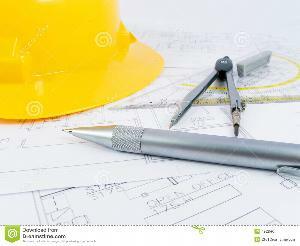 What Residential Projects Need a Building Permit? Erect, install, extend, alter or repair a building. Demolish all or part of a building. Perform construction or alterations that result in a material change to a building or an accessory structure. How much are Building Permit Fees? Building permit fees are determined by Town of Renfrew By-law 29-2016. Meet the requirements in Renfrew’s zoning by-laws for size, setback and location. Your building permit will not be approved if the work does not comply with zoning by-laws. Who's responsible for scheduling a building inspection? Calling to arrange inspections at the required inspection stages. Ensuring construction meets the Ontario Building Code. Make sure you set up your inspections on time to avoid delays. Please note: Contractors can also schedule building inspections on the permit holder’s behalf.